Week three of the 2019/20 Concacaf Nations League Qualifying opened on Friday with Montserrat making a statement in its first away game of the tournament. The team, captained by Willie Donachie travelled to Curacao for its match against Aruba, which has been undefeated until Friday night’s game. After serving as the hero in the 1-0 win over Belize in week two, Spencer Weir once again delivered a game-winning goal for Montserrat in its 2-0 triumph over Aruba. Weir pounced on a deflection to score in the 36’, which was followed by an absolute screamer from Bradley Woods in the 51’ to make it 2-0 and cement the three points for the Emerald Boys. 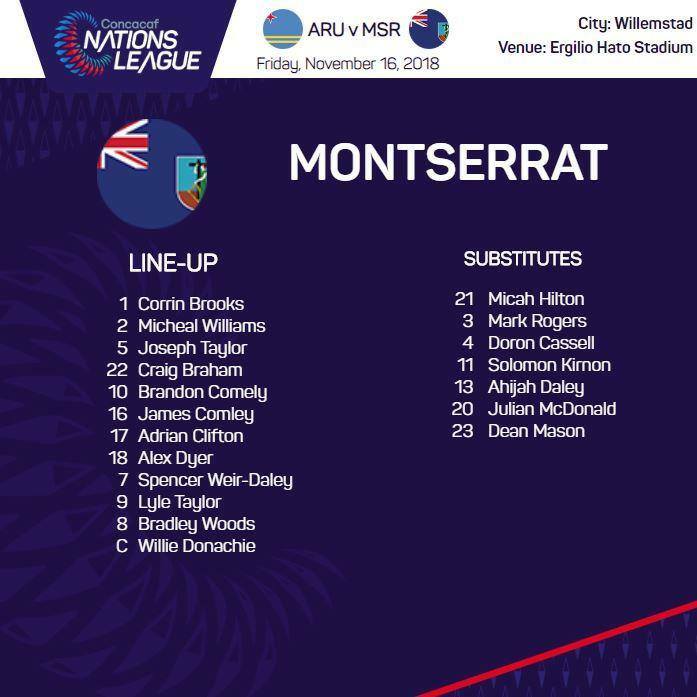 Montserrat’s record now stands at 2W-0D-1L, 6 points, while Aruba is 1W-1D-1L, 4 points. The island is now number 12 of 34 in the standings.